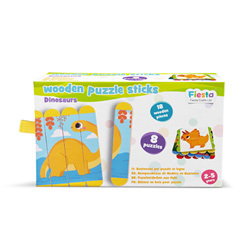 Children simply adore holding and playing with these tactile wood puzzle sticks. 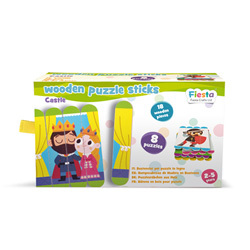 Each set contains 18 double-sided pieces which make 8 beautifully illustrated puzzles. Kids love the activity of searching for each puzzle's pieces (colour coded for ease) and then delight in producing the fun, colourful images. 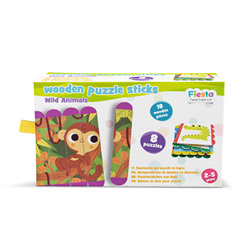 As the sticks don't need to be matched too precisely, it is a perfect toy for toddlers. Includes graded activities: half the pictures use 4 pieces and the rest use 5, for that little extra challenge!